The London Mathematical Society has a webpage in which they “take a look at some of the people who’ve made major contributions in the world of mathematics”. Indeed, it is always nice to put a face to the names we read about. My only comment about the page is that I do not think all the information is up to date, but never mind. Einstein's spooky action at a distance in space. Scheidl, Wille and Ursin  have proposed using the International Space Station to test the limits of spooky action at a distance. These experiments could help develop global quantum communication systems. Part of their plans include a Bell test experiment which probes the theoretical contradiction between quantum mechanics and classical physics. A pair of entangled photons would be generated on the Earth. One of these would then be sent to a detector aboard the International Space Station, while the other photon would be measured locally on the ground for comparison. It is also not really known if gravity plays any role in quantum entanglement. These experiments would be the first to really probe the potential effects of gravity. The Newton lecture 2012 is now available to watch on the IOP website. 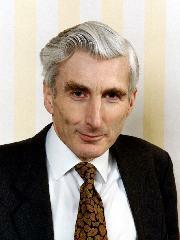 Professor Martin Rees, the winner of the 2012 Newton medal, gave the lecture entitled Form Mars to the multiverse.